Usually when you air guitar, you strum the air with your fingers. 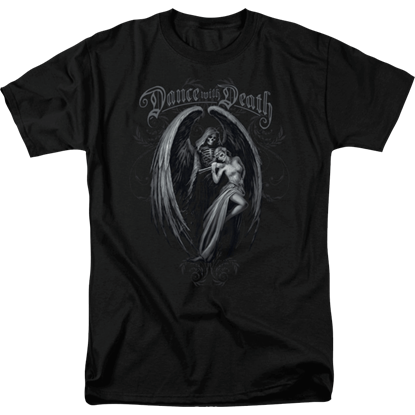 With this Air Guitar Mens T-Shirt, it takes on a different meaning. 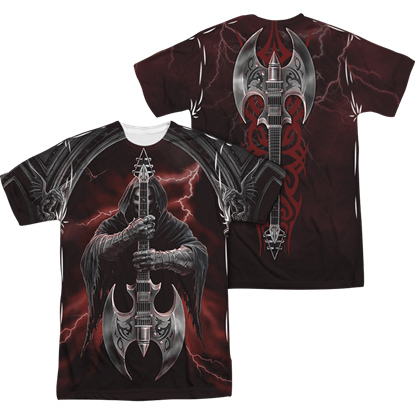 This garment features an elemental guitar of epic proportions that even a reaper can jam on. 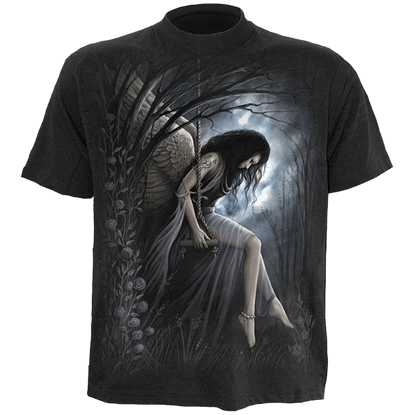 In the gothic scene presented by the Anne Stokes Only Love Remains T-Shirt, a winter fairy holds close a freshly plucked rose. 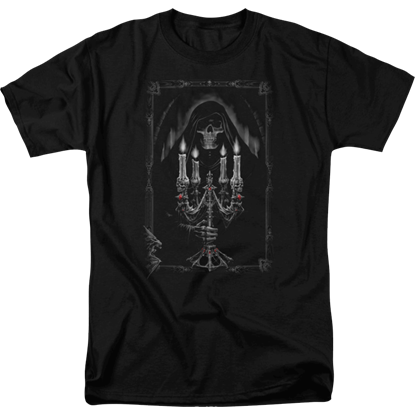 Her hands press the crimson flower against her pale lips as she breathes in what little life remains. 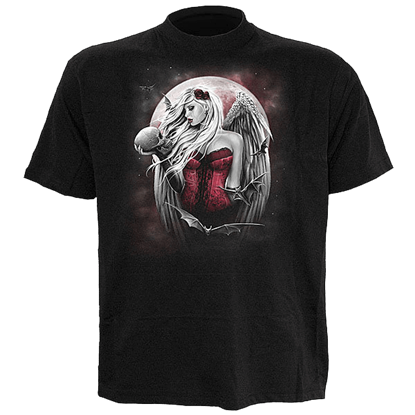 Music extends even beyond the power of the grave, as seen in the design of the Anne Stokes Rock God T-Shirt. 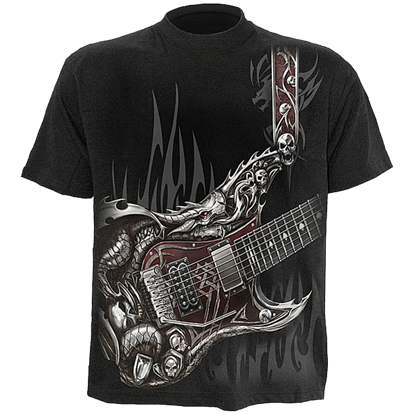 This gothic t-shirt displays the grim reaper holding up an electric guitar that has been transformed into a wicked weapon. 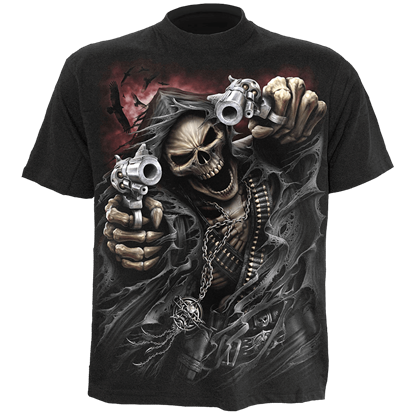 A new age calls for a new reaper. 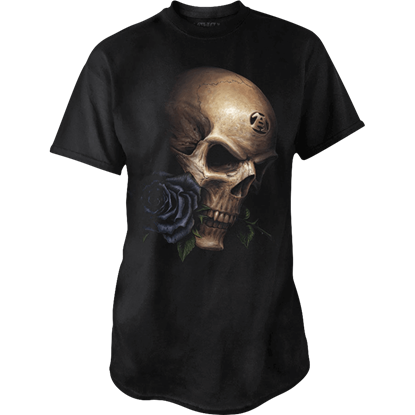 No longer does the reaper of souls carry a scythe. 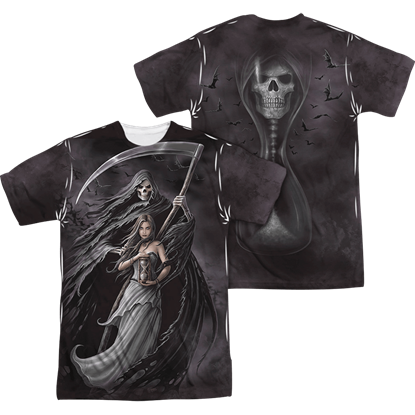 Instead, this assassin of souls favors more modern implements, and as this Assassin T-Shirt shows, the new reaper is just as deadly as the old. To think of barbed wire is to typically think of fences or the attempt to cage something. 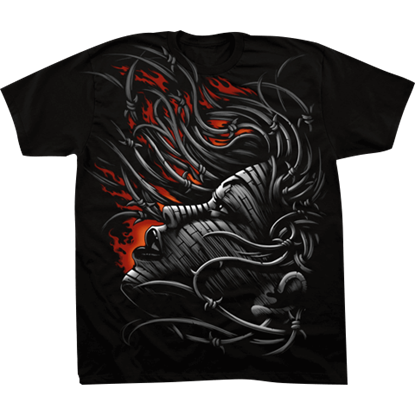 The Barbed Wire T-Shirtavoids this image completely, instead using the barbed wire to evoke an entirely new image.